A Siwertell ship unloader has been installed for the Dangote Group at Apapa Port in Lagos, Nigeria, in order to increase import volumes of cement. The specially designed collector unit feature minimises spillage and increases efficiency during clean-up. The Siwertell ship unloader is the second unit at the same quay and was bought by Dangote Industries Ltd in order to increase the import volumes of cement. It is equipped with a collector unit, which minimises dust spillage and increases the efficiency during the clean-up phase. 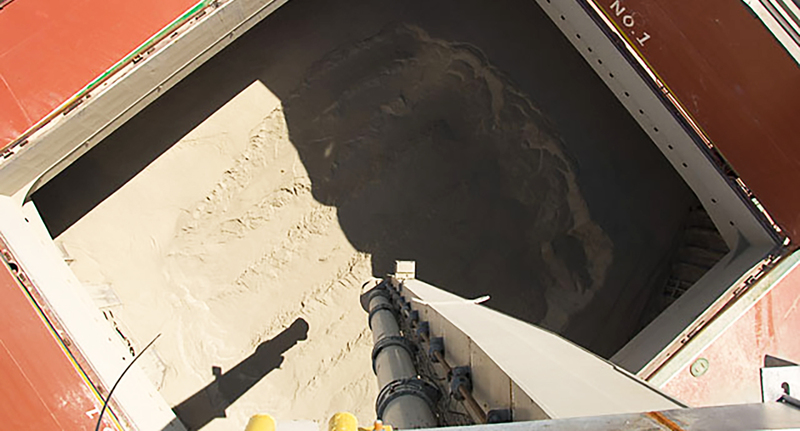 The ship unloader is also equipped with a movable transfer trolley, for dust free loading onto a belt conveyor, and with two truck loading spouts positioned underneath the gantry screw conveyor, for loading of cement directly into bulk trucks. The unloading system makes it possible to load onto the belt conveyor and into bulk trucks at the same time.